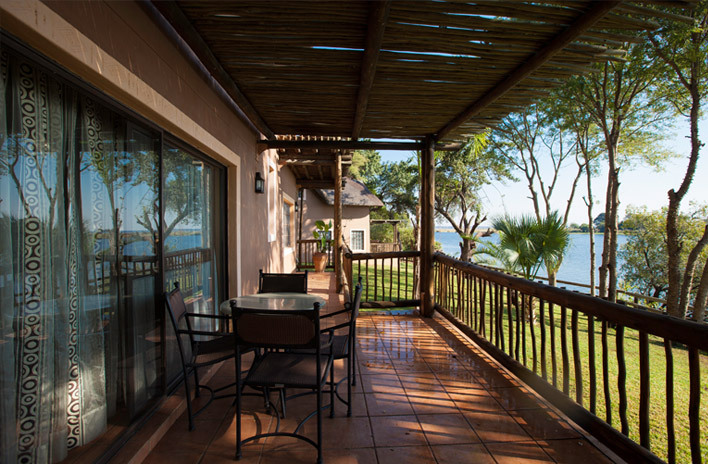 Chobe Marina Lodge offers warm, personal service and a choice of accommodation in either studios, chalets or suites. 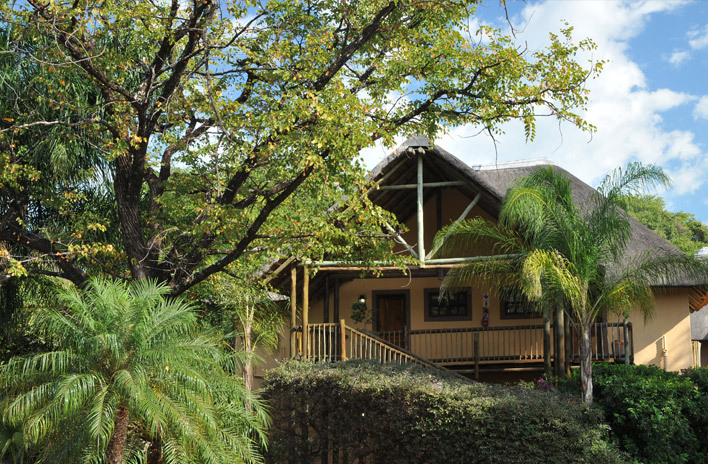 The charming thatched accommodation has every modern amenity to provide guests with a relaxed and comfortable stay. Dining at Chobe Marina Lodge is all about good food and service to match. 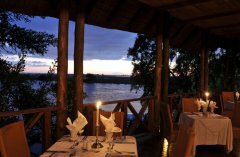 The Commissioners Restaurant, is an elegant and attractive eatery that allows for intimate and comfortable dining and offers diners beautiful views across the river. An a la carte and Table d’ Hote menu is available and beautiful presented by our experienced and creative Chef and his team. The Mokoros Restaurant serves delicious full English or continental breakfasts as well light lunches and casual meals. 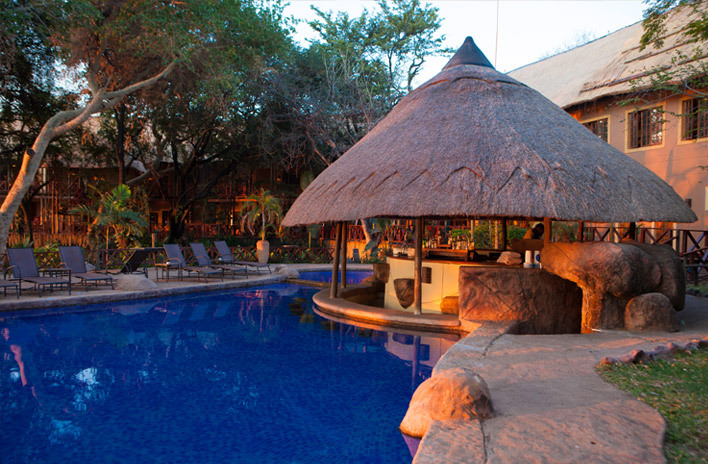 The pool and Riverside Bars are perfect for watching the glorious sunsets while enjoying a long, cold drink. 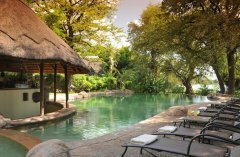 Chobe Marina Lodge with its lush expansive gardens is home to an abundance of wildlife, including the legendary Fish Eagle, warthog, squirrel, mongoose, Vervet monkeys and fruit bat. 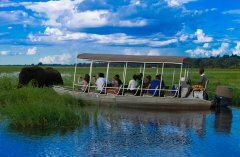 With the world-renowned Chobe National Park just 10-minutes from Chobe Marina Lodge, an encounter with Africa’s awesome foursome (elephant, leopard, lion and buffalo) is bound to occur. 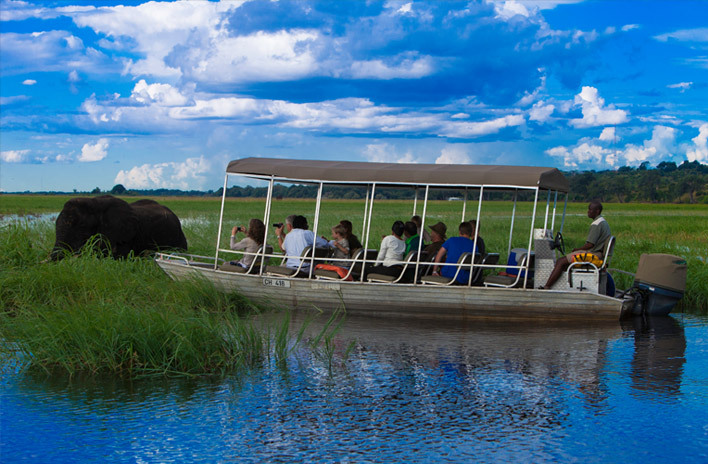 A riverboat cruise to the park will introduce you to a totally different game viewing experience. 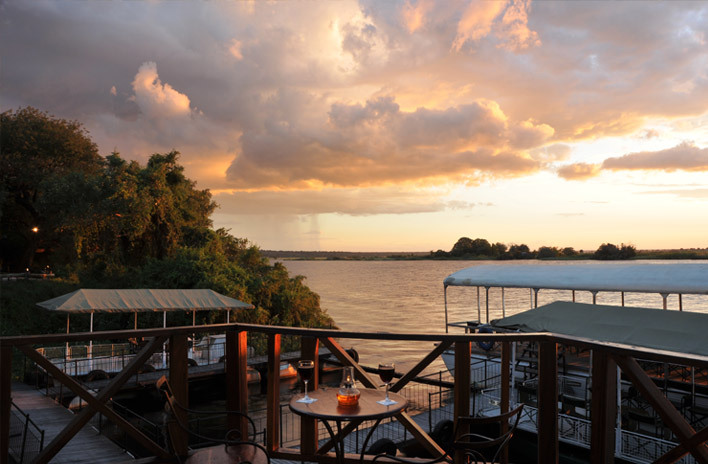 Other activities to enhance your stay at Chobe Marina Lodge include a leisurely sightseeing cruise to Sedudu Island, or for a more thrilling activity why not try your hand at fishing for the famed Tiger Fish, which inhabit the Chobe and Kasai River systems. 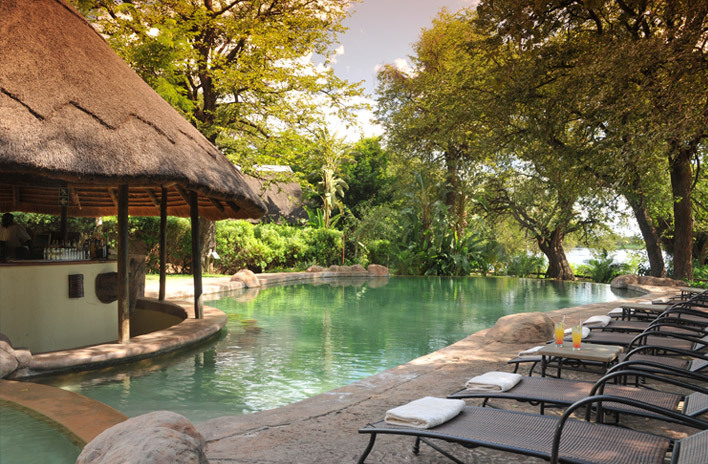 After a day’s outing visiting the many attractions in the area, take a quick dip in the sparkling swimming pool. 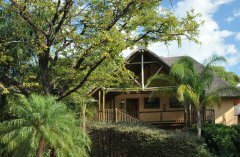 If golf’s your pastime of choice then you can enjoy a game at the nearby golf course. 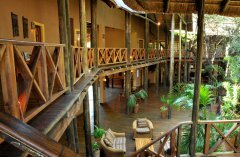 Botswana properties where a levy of P10 (ten Pula) per person per night is applicable. 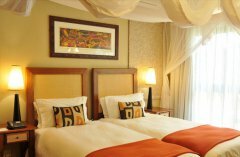 Luxury Suites include an en-suite bathroom, mosquito net, TV with selected channels, air conditioning, in-room safe, hairdryer, tea- & coffee-making facilities, a mini-bar fridge stocked on request and spacious lounge area. 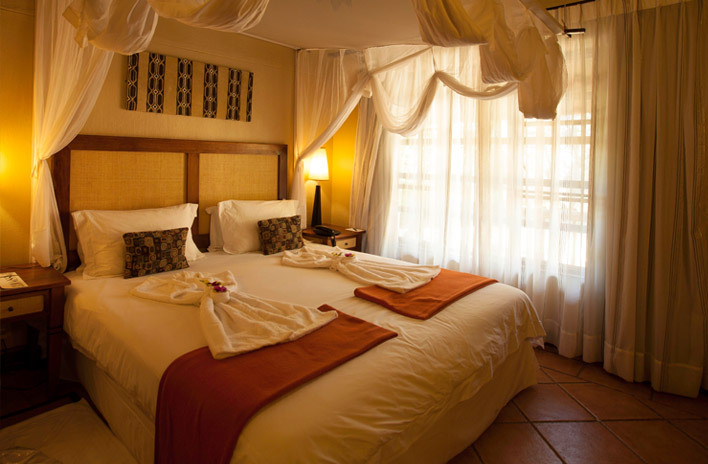 Studio Suites include an en-suite bathroom, mosquito net, lounge area with TV with selected satellite channels, air conditioning, in-room safe, hairdryer, tea- & coffee-making facilities, a mini bar fridge stocked on request, telephone and ceiling fan. Standard Suites include an en-suite bathroom, mosquito net, TV with selected satellite channels, air conditioning, in-room safe, hairdryer, tea- & coffee-making facilities, a mini bar fridge stocked on request, telephone and ceiling fan. 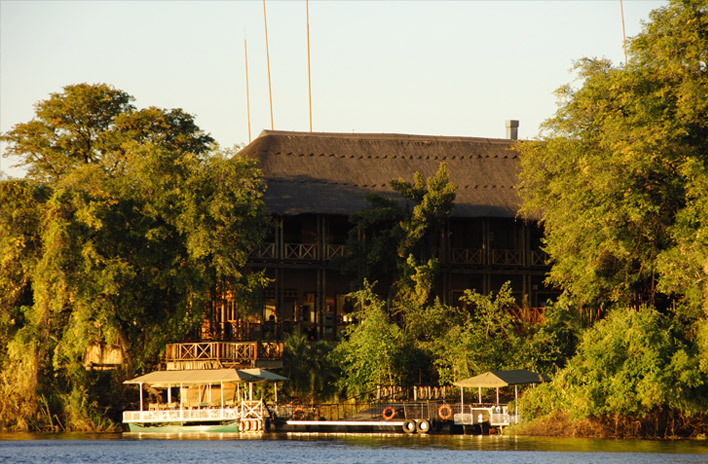 The Chobe Marina Lodge boasts a stylish, state-of-the-art conference venue, which has spectacular views overlooking the Chobe River and into the Caprivi Strip of Namibia. 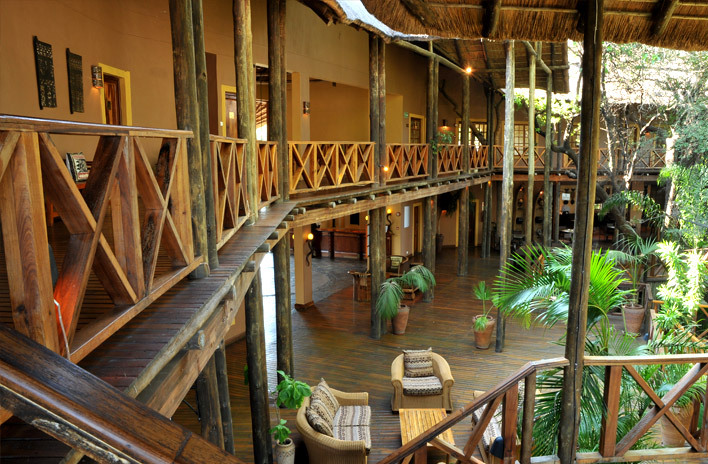 This 100-seater venue is ideal for product launches, conference and team building events and each event is handled by our professional staff that are on hand to provide advice and handle the specific requirements of your event. 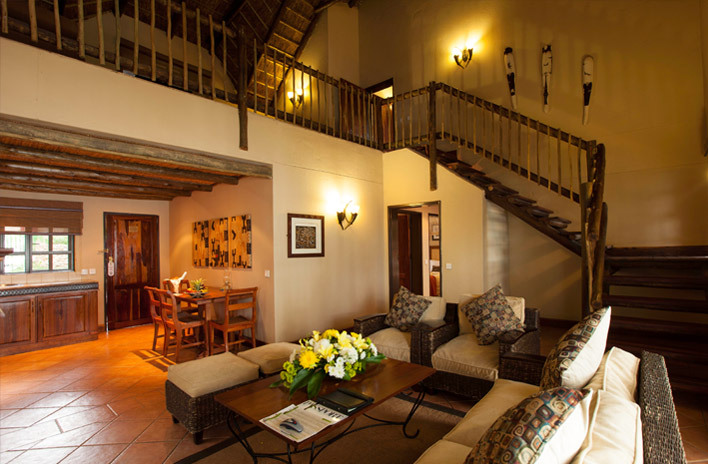 We also have 2×15 seater boardroom or breakaway rooms. 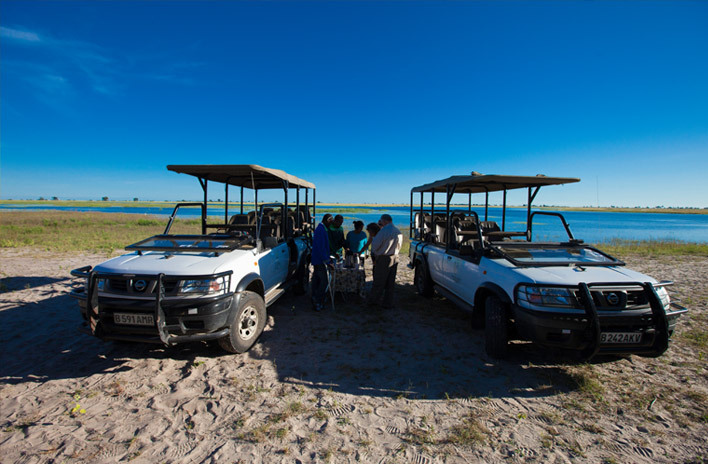 Teambuilding and leisure activities that are on offer for groups at the Chobe Marina Lodge include game tracking safaris, themed dinner evenings, ethnic village experience or game viewing by river cruise. 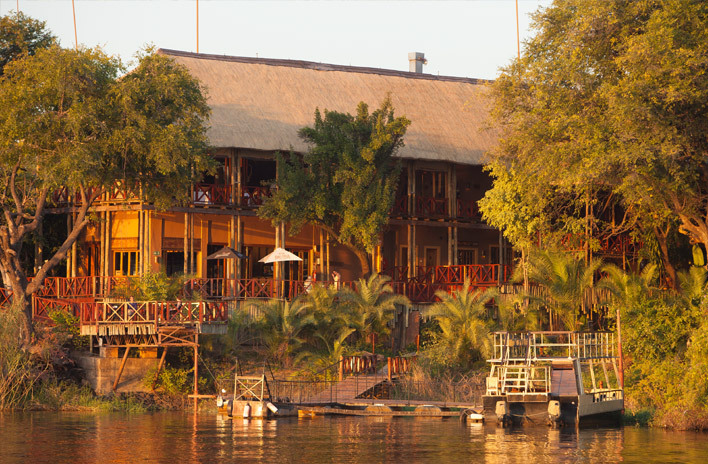 Breakfast, sundowners or snacks are available on the river cruise. Group educational sessions and game drives are also on offer as well as the exciting prospect of Tiger fishing competitions. Just minutes away and with easy access to the world famous Chobe National Park, Chobe Marina Lodge situated on the Chobe riverfront, is a ‘must visit’ destination in the north-eastern corner of Botswana where Zimbabwe, Zambia, Botswana and Namibia meet. 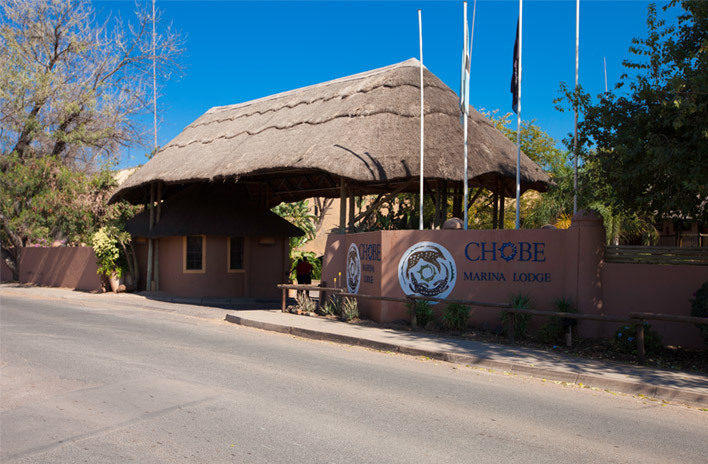 Chobe Marina Lodge houses a stylish, state-of-the-art conference venue, ideal for product launches and corporate events with views across the Caprivi Strip. 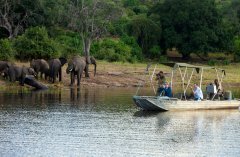 Teambuilding and leisure activities include game tracking safaris, themed dinner evenings, traditional dancers, ethnic village experiences, Tiger fishing competitions, viewing of more than 45 000 elephants and unbeatable photographic opportunities on a leisurely safari cruise down the Chobe River. Dining at Chobe Marina Lodge is such a pleasurable experience, where good food, attentive service and a beautiful river location are all part of the mix. 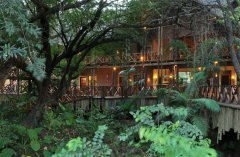 The Commissioner’s Restaurant, which is a la carte, serves world-class dishes, using only the freshest ingredients and local produce, beautifully prepared by our experienced chef and his team. 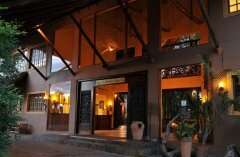 The Mokoros Restaurant, which offers buffet-style local cuisine in a light-hearted and friendly environment. 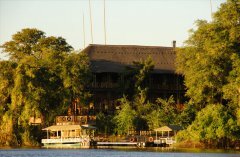 The riverside bar overlooking the Chobe River is a popular meeting place and here you enjoy a variety of cocktails and drinks whist watching a splendid African sunset. 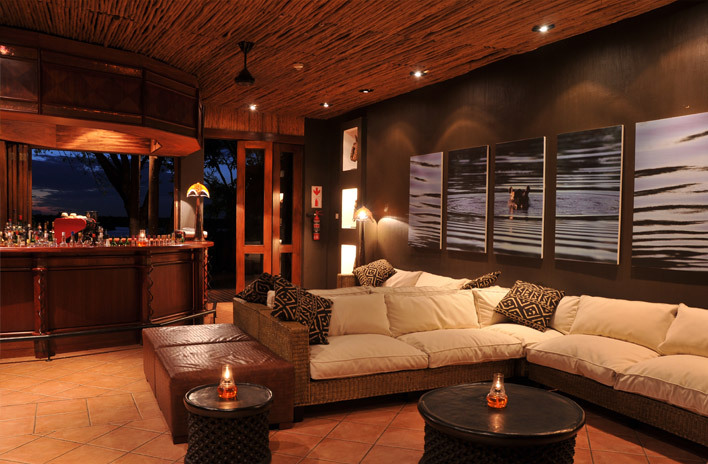 This is fine dining offering a choice of either table d’hôte as well as a la carte menu. 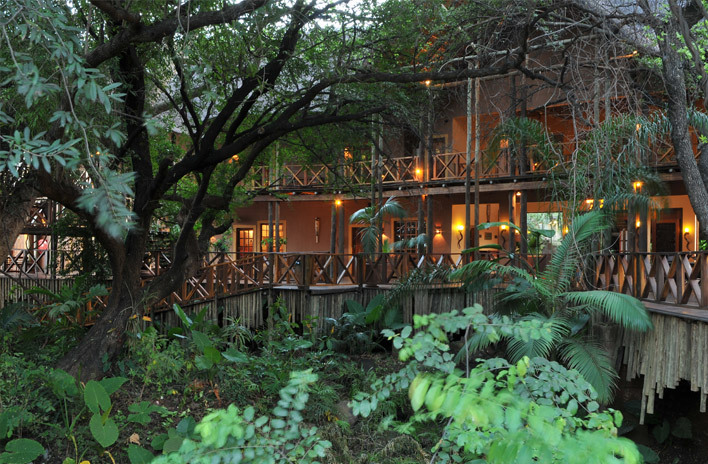 Located on the first floor on the riverside of the main building. Dress is smart casual. Open from 19h00 till 22h00. Continental and Full English breakfast. Snack/Terrace menu for Light Luncheons. Buffet Lunch and Buffet dinner (by request for groups only). Pool Terrace menu – for light meals. Outside Barbeque area for traditional evenings and functions. 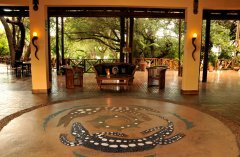 The Kwa Maningi Beauty Spa offers a full menu of pampering treatments comprising restorative body services, from facials to hand and feet treatments, conducted by our team of carefully selected professional beauty therapists. Each treatment has been designed to ease the tensions and provide total relaxation and well being. The Beauty Mobile Spa was specially created to provide guests with a service to restore both mind, body and spirit so that they can feel fully refreshed. 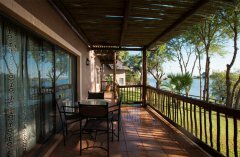 Chobe Marina Lodge offers a well-stocked curio shop with a diverse selection of handpicked arts and crafts from the surrounding areas. It is the ideal place to pick up that ‘out of Africa’ gift for loved ones back home or treat yourself to a personal reminder of your travels to one of Africa’s most beautiful corners. 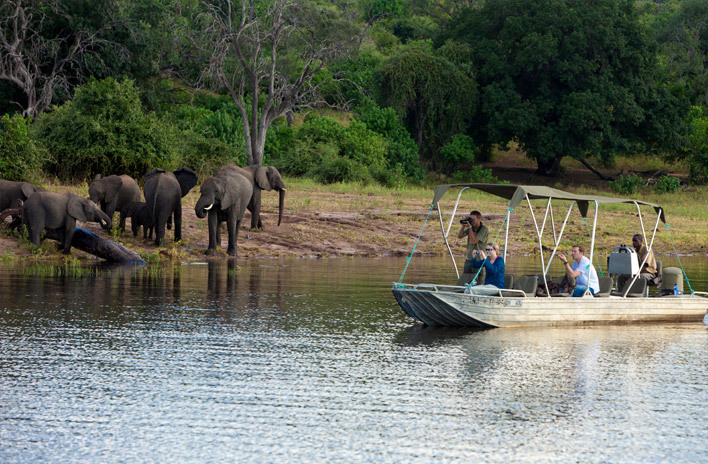 Our Chobe Marina safari clothing range will ensure you to look the part on safari. We also stock a full range of essential necessities for those forgetful few that have travelled without their toiletries (cosmetics).